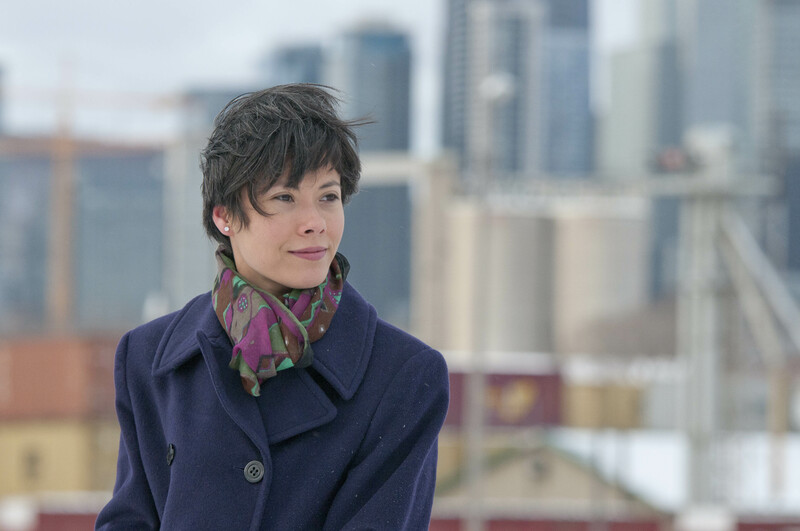 Ashley Pace is a freelance data journalist based in Montreal, Quebec. She uses computer programming and data analysis to enrich and visualize her news stories. Pace’s work includes experience with human rights organizations and investigative projects surrounding information accessibility and employment. Her data-driven article, “One-Stop Job Centers: Who gets them, who gets left out?”, communicates the gaps between the nation’s unemployment figures and available job training and workforce resources. Through visual mapping by region, the article illustrates historical unemployment data with information provided by the Bureau of Labor Statistics. Pace additionally highlights a sample of the nearly 2,500 American Job Center locations by county region and compares how they relate to their corresponding unemployment rates. Some locations with high unemployment, such as the Kusilvak Census Area in Alaska, do not have designated job centers. Other regions with the same unemployment patterns, such as Magoffin County in Kentucky, have AJC centers that match the area’s job resource needs. Pace’s article calls for a thoughtful discussion on how employment resources can be better allocated and efficiently distributed in the United States. 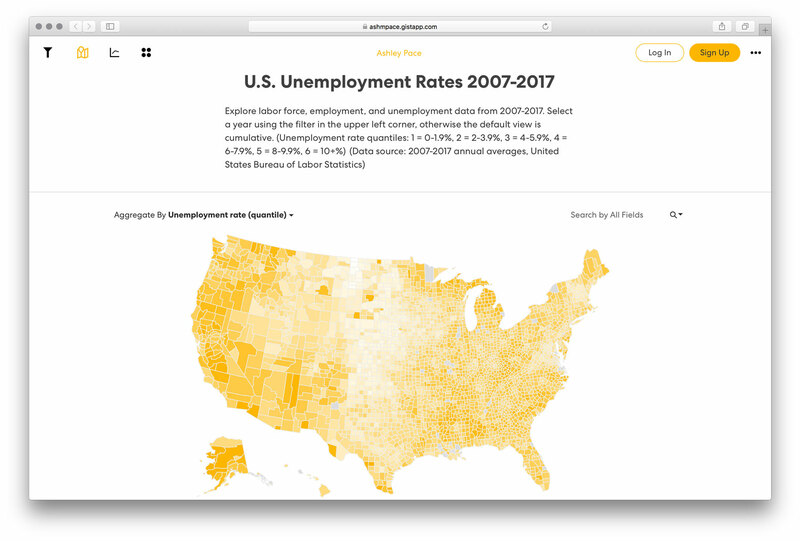 Why do data visualizations, like mapping job centers across the US, matter in storytelling and how can they empower effective change in decision making? In our current information age, data is a resource that is readily available but not well understood by many. Knowledge of what stories data have to tell us can inform the actions of policy makers and even everyday citizens. Gist is a data exploration platform that makes information accessible for everyday users and everyday stories. 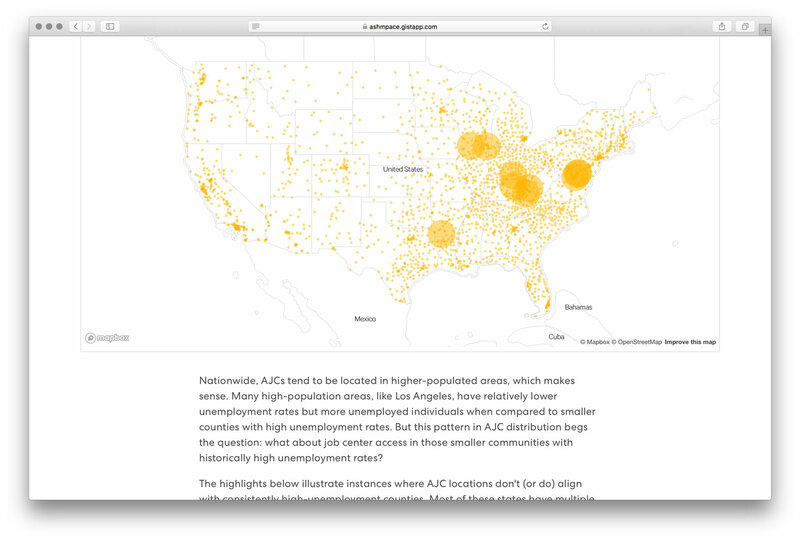 Check out Ashley Pace’s article on unemployment resources or create your own data-driven story.